It just wouldn’t be a family dinner at my house without some kind of “project”, so to accompany the braciole, we made homemade whole wheat pasta. You don’t need a pasta machine and the ingredients are very simple. The hardest part is rolling the dough out thin enough, and then cutting narrow pieces; it requires time and patience. 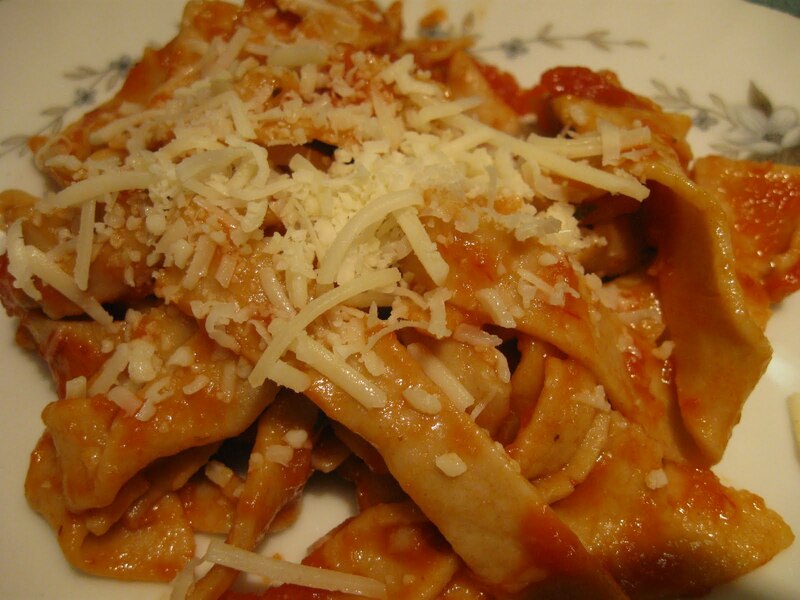 But we were rewarded with fresh homemade pasta, and with a little sauce and Parmesan, dinner was served. This pasta definitely has a whole wheat taste which I personally like, but keep this in mind if you are feeding a crowd that isn’t accustomed to whole wheat. Blend together flour, eggs, and salt. Add water, 1 T at a time, until dough comes together in a ball. 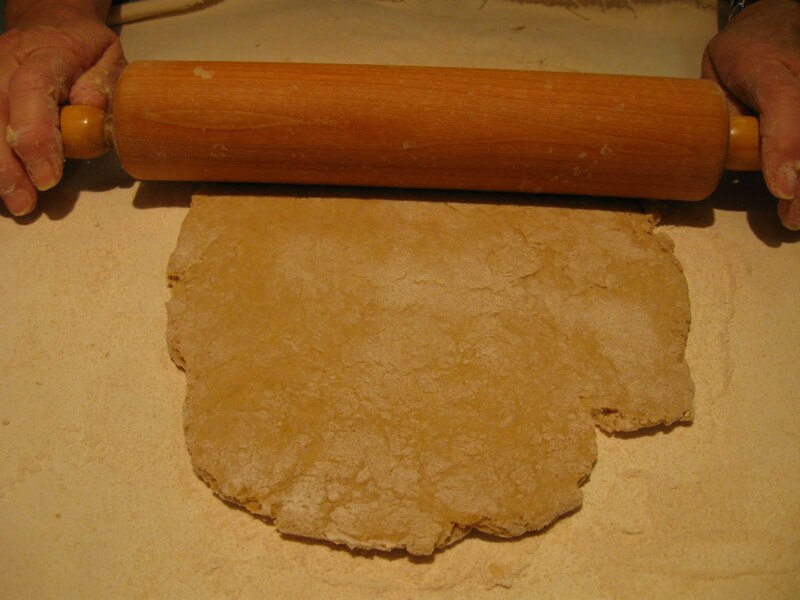 Roll dough as thin as possible, allow dough to rest for 10 minutes, and then continue rolling. Slice with a sharp knife into thin noodles. Boil for 4-5 minutes and serve. Yes, most families open a box of pasta! This was pretty good though, and I didn't think it was very "whole wheaty" either!